First week of 2013! There's just not enough days in a year. For me 2012 went really quickly, I had a few exams during the summer, unfortunately I still have some to do, in fact I have an exam next week. Which I should really be preparing for, but I am an expert procrastinator and usually leave the important things till last minute. 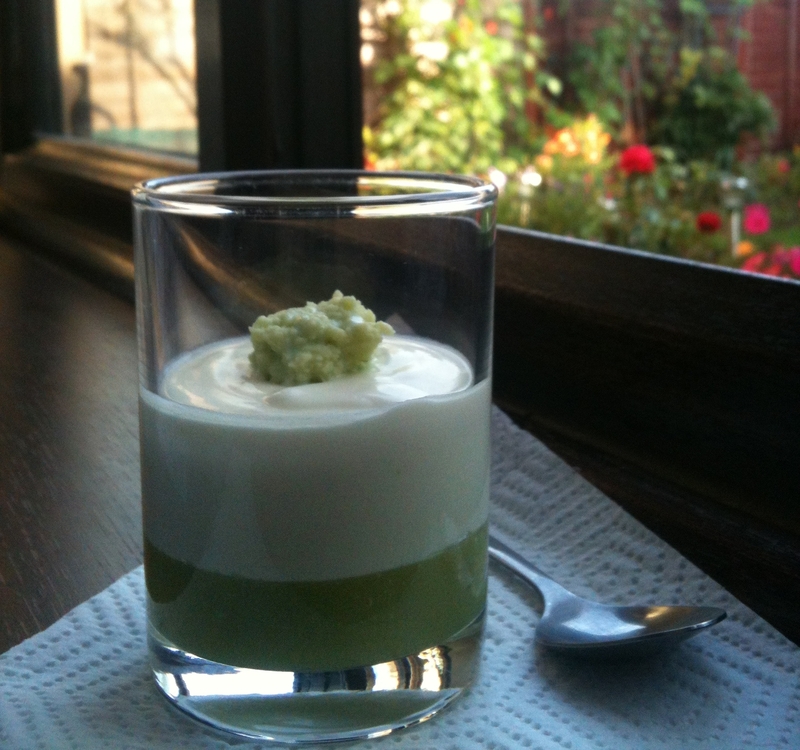 However I have done something useful which is...creating this beautiful zesty dessert. My mother invited a few family friends for New Years day and asked me to make a nice dessert for the guests. 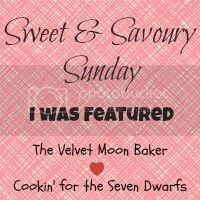 Now I love making desserts, especially chocolate ones, however a lot of the elders in my culture do not like chocolate, actually they don't like anything sweet unless it's a traditional sweet dish. After a lot of thinking on what to make, I decided to combine sweet and tang and created this crowd pleasing dessert. They loved the look of the two layers and from the empty glasses and speed they ate it, I'm guessing they also liked the taste. 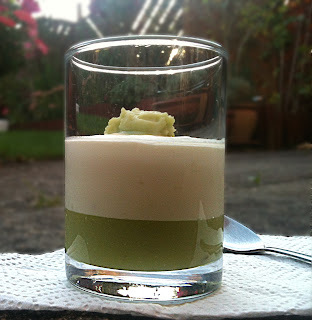 The bottom layer is a tangy minted lime curd and the white layer is a creamy lime posset. I wanted this dessert to have its own individual name and since this dessert made all the guests happy, I thought I'd call it Lime Delight. Whisk together the cornflour, lime juice and mint (if using), pour it into a saucepan along with 250ml of water. Keep on whisking and bring to boil until it has thickend and has turned into a milky white colour. Turn off the heat. Yum this looks amazing! 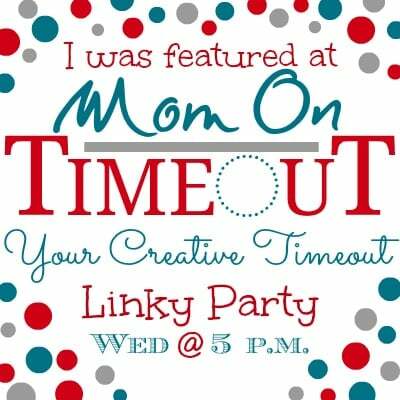 Thanks so much for linking up to the Craft Yourself Crazy link party!